The Cool Place where Visitors and Local Dominicans meet. 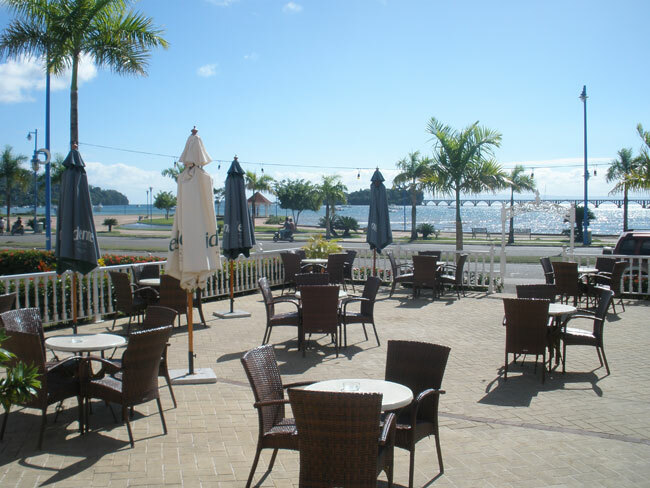 Overlooking the Samana bay, this restaurant offers typical seaside pub fare and beer/wine at low prices! This bar is located in the new PLAZA PUEBLO PRINCIPE and offers free WIFI.